This entry was posted in English and tagged map, New Testament. Bookmark the permalink. Again, I’m loving these maps for our Acts series! I want to honor your copyright and ask for your permission to print this graphic for a handout for people to map Paul’s journeys. Just a handout for church, not to be sold or republished Would that be okay? Sure thing, Matt. Thanks for asking. 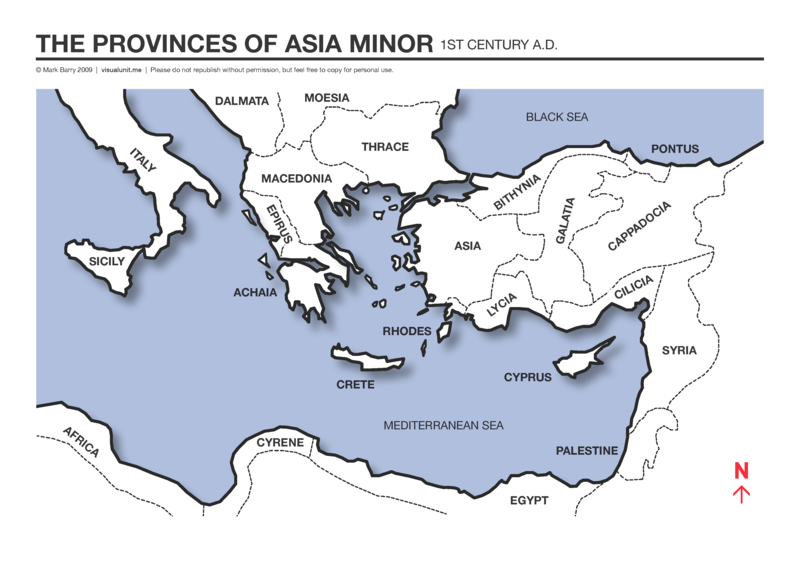 I would like to ask permission to use your map with a class I am teaching on Asia Minor. Mark D.
I’d like to use this map; non-commercial use. Would that be OK? Hi Ferhat. I’m sure it would be OK, but how were you planning on using the map? Hey Mark, Sorry for the late reply. It for a presentation I am working on currently. I am doing some studies on Ephesians and I think this map will be a good fit for one of my presentation slides. No problems, Ferhat. Thanks for getting back to me. Great map! Just found it as I was looking for a map of Asia Minor for a study on 1 Peter. Do you mind if I use it in Powerpoint? I will give you credit. Thanks. Could I please have your permission to use this map on a handout for a bible study I’m teaching on 1 Peter. It is very well done! I’m teaching a bible study on 1 Peter and would like your permission to use your map for a handout for the class. It is very well done! Thanks John. Yes, feel free to use the map for your class.